MySQL Group Replication: who is the primary master ?? As you know, MySQL Group Replication runs by default in single primary mode. But how can we easily find which member of the group is the Primary-Master ? But then you need to perform this on all the nodes one by one until you find the right one. But the value is not that obvious to know which MySQL server it refers to. 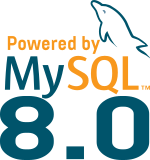 So we can here see that f7aa830d-0f02-11e7-83ba-08002718d305 is in fact mysql1 ! Can we merge all this in one single query ? Of course ! mysql2 mysql> SELECT member_host as "primary master"
Thanks Fred. Might be good to add this to sys schema. Is there a way to force a primary selection in case of primary does fail ? How does the leader election mechanism work ? Currently there is no way to force it as all nodes should be equivalent. But we listen to some user stories and we considering the option. Thank you for your GR and InnoDB Cluster related blogs. Those are very helpful. I will catch up with your blogs. >How does the leader election mechanism work ? Thank you Shunya for you comment. So, when you start the cluster, the member used for bootstrap is used as primary. When new primary needs to be elected, the remaining nodes will agree (consensus) on which one should be the next one. You don’t really have control on the result for the moment, we might come with something in the near future. So currently it’s kind of random (meaning you don’t have real control), the next one in uuid sorted list will be used.